On a scorchingly hot Sunday 6th May UKAFH was privileged to gain access to internationally renowned Smokejacks Pit – a large clay pit operated by Weinerberger located close to Ockley in Surrey. The pit is famous for the near complete dinosaur specimens that have been discovered there including Iguanodonts and the first discovery of the spinosaurid Baryonyx in 1983 by amateur fossil hunter Bill Walker. Baryonyx and many other specimens from Smokejacks can be seen in the dinosaur hall of the Natural History Museum in London. The pit cuts through a section of the Weald Clay member of the Wealden group, dating from the Barremian stage of the Cretaceous period about 130-125 million years ago. During this period England was located in the mid-latitudes and experienced a highly variable climate of alternating searingly hot dry seasons with forest fires and baked ground and stormy wet seasons with flash floods which created lakes in a floodplain environment. The resultant ecosystem was highly diverse, supporting a vast number of aquatic and land-dwelling organisms from tiny creatures like concostracods and multitudinous insects to large herbivores and predators like Baryonyx and Iguanodonts. A great attraction of Smokejacks pit is the enormous diversity of fossils to be found here. Whether specialist or generalist, there are spectacular fossils to be found if you have the patience, work ethic and eye to locate them. There are beautifully preserved insects and the plant Bevhalstia in fine siltstones, concostracods – shrimp-like shelled creatures, abundant plant material, fish scales, teeth and death assemblages, as well as crocodile, pterosaur and of course dinosaur remains can be unearthed here with a good eye and a bit of luck. Our guides for the day were Weald Clay expert Peter Austen and his wife Joyce and local Smokejacks regular Mike Webster, who has discovered a number of previously unknown insects at Smokejacks. Peter provided us with a fantastic, in depth presentation on the Weald Clay and showed us some fine examples of what could be found in the pit, as well as supplying a number of handouts describing the pit and the fossil discoveries made, illustrating the pit’s stratigraphy and providing drawn examples of some of the insect types commonly found. Peter’s roadshow introduced us to the diversity of insects for which the pit is known (7 new orders of insects and numerous species). He covered in detail the discovery of Baryonyx and also a juvenile Iguanodont which was found together with Baryonyx teeth, suggesting predation or scavenging, which was later recognised as Mantellisaurus atherfiedensis. Smokejacks is also known for a very rare, early flowering plant called Bevhalstia Pebja. We also saw articulated fish death assemblages, an arthropod trackway, gastroliths (the stomach stones swallowed by dinosaurs to aid digestion), plant remains and the well-known concostracans, small shrimp-like creatures which bear superficial similarity to bivalves. We set off into the pit under a blazing sun, aptly reminding us of the type of conditions which might have been experienced during the early Cretaceous when the animals and plants whose fossils we sought would have populated the area. The pit is like a large, pale grey cauldron with a lake at the bottom so the reflected sun was intense and without respite due to the absence of shade. Our group had been briefed to bring sun cream and plenty of water so although conditions were somewhat arduous everyone was well prepared. Many attendees began by walking the slopes in search of any fossils which had been brought to the surface by recent erosion. This is often fruitful and has yielded dinosaur bones and fish teeth on previous occasions. Others chose to work the “dinosaur” layer towards the top of the quarry; a rich seam of carbon and lignite where plants have been fossilised and which has been found to often also contain dinosaur remains. Those in pursuit of insect remains headed towards the bottom of the quarry to find and split the finely grained stones in which their remains are preserved. Soon after our arrival; finds began to appear. Steve Lloyd was amongst those who found round, button-like crushing fish teeth from Lepidotes. Lower down, Mike Webster had begun to find some insect specimens. After around an hour the first major discovery was made by Adam Ward, who found a beautiful small Baryonyx tooth in the upper carbon layer. Shorty afterwards, Dave Clark found a bivalve in the upper layer and Aidan Philpott discovered some examples of the amber that can be found at Smokejacks in the fossilised wood beds. Further down the quarry, Harry Rousham was receiving an education from Mike Webster on which blocks contain insects and shortly discovered a beautiful, large example of an insect wing which was provisionally identified as scorpionfly. This was a fantastic find as it was proving hard to find much insect-bearing material on this occasion. Sam Caethoven found an example of Bevhalstia, although rather indistinct, and some fish death beds which were found very close to the insect layer. By this time some members were finding the heat a little too much and began to trickle away. However those who were determined to come away with a prize plugged on, digging into the carbon rich layer in pursuit of bone material. Mark Goble, who despite several visits to Smokejacks had so far failed to find any dinosaur bone, finally hit paydirt close to the end of the day when he found a large bone section, although fragmented, which was identified as an Mantellisaurus ischium. Congratulations Mark! My own personal favourite find of the day, however, was the discovery at the very end of the session of a gastrolith by Mike Webster. I badly want to find one myself and Smokejacks is the perfect place to do so, because the stone can be determined as a gastrolith with near certainty when found in situ in an inland site. A gastrolith is a smoothly polished stone which resided in a dinosaur’s intestine and is often not local to where it is found. The stomach acid and the action of grinding against other stones polishes the pebble. Science is inconclusive whether gastroliths formed a gastric mill to help break up tough foodstuffs and aid digestion or were merely swallowed unintentionally. The stone found by Mike Webster is a stunner- the stone is unusually large and also rather beautiful! It was a great end to a successful day. 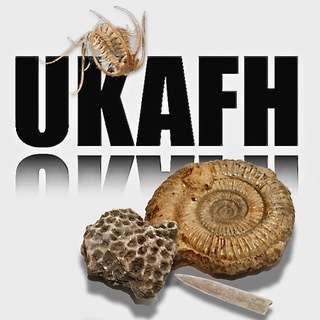 UKAFH would like to thank Peter and Joyce Austin, Mike Webster and Weinerberger for allowing us to visit and making the outing successful, enjoyable and informative! This entry was posted in Reports and tagged baryonyx, dinosaur, fossil, iguanodont, Smokejacks.